University of Southampton Professor Keith Palmer has been awarded an OBE in the 2018 Queen’s Birthday Honours for services to Occupational Health and Medicine. A former GP and Employment Medical Adviser with the Health and Safety Executive, Professor Palmer completed his specialist training in Occupational Medicine in 1994. 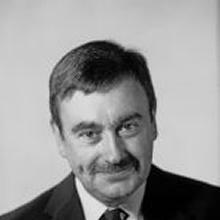 He then held a tenured research post at consultant grade in occupational epidemiology with the MRC Epidemiology Lifecourse Unit in Southampton where his research focused on the epidemiology of occupational diseases, and the clinical management and prevention of work-associated illnesses. Over the last 10 years, he has served Chair of the Industrial Industrial Injuries Advisory Council (IIAC), a role he retired from earlier this year. The IIAC is a statutory body that advises the Secretary of State for Work and Pensions on state-funded compensation to workers suffering recognised occupational diseases and injuries. “Of course I am hugely honoured to receive this award and keen to thank all my colleagues in Southampton and the Occupational Health community nationally, my many colleagues at IIAC, and especially my wife for her enormous support behind the scenes,” Professor Palmer enthused. Professor Cyrus Cooper, Director of the MRC LEU, said: "This is just reward for Keith's excellent leadership over a long period of time, to the Medical Research Council and the Industrial Injuries Advisory Council." 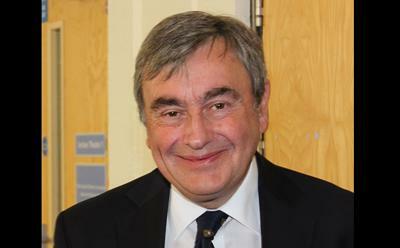 In addition to serving as Academic Dean and Deputy President of the Faculty of Occupational Medicine for the Royal College of Physicians - the national college which trains medical specialists in his field – Professor Palmer has also been an adviser to the Department of Environment, Food & Rural Affairs’ Expert Committee on Pesticides. During the 2000’s, he was Editor of the BMJ Publishing Group journal Occupational and Environmental Medicine. Professor Keith T Palmer is Professor of Occupational Medicine within Medicine at the University of Southampton.